When your electricity dies, what you need is a local Bathurst electrician FAST. 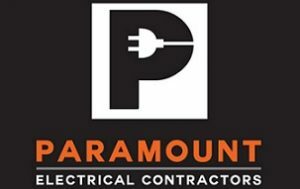 Paramount Electrical Contractors provide 24 hour, 7 day service in and around Bathurst. Whether you live in Blayney or Orange, you can rely on the best electricians in Bathurst to lend a helping hand. We understand that losing electricity tends to happen at the worst times and the last thing you need is an electrician that shows up late. Our Bathurst electrical contractors show up fast (generally within 40 minutes or less) and have the experience and the expertise to have you fixed up in no time. Our friendly service, upfront pricing and professional Bathurst electricians means you don’t have to panic the next time your power goes out unexpectedly, just call Paramount Electrical Contractors! At Paramount Electrical Contractors, we have you covered for 24 hour electrician services in Bathurst. No job is too big, too small or too complicated for our team of qualified professionals. Unexpected power outages or electrical emergencies not only prevent you from continuing on with your day, but can also be dangerous for you and for others, which is why at Paramount Electrical Contractors we endeavour to arrive and have the problem solved as fast as possible. Looking for an after hours electrician in Bathurst? Why not call the 24 hour electrical experts, Paramount Electrical Contractors! 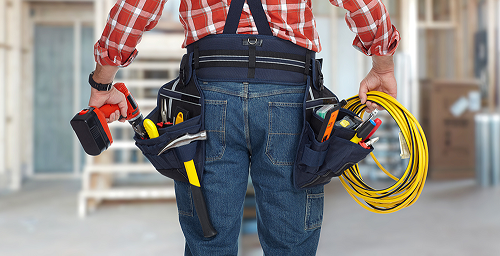 All equipment used by our emergency electricians is of the highest quality and all of our electricians are fully licensed industry professionals who always get the job done right the first time around. We don’t cut corners at Paramount Electrical Contractors so you can rest assured that when we solve your electrical emergency it’s a permanent solution, not a temporary one. Paramount Electrical Contractors are proud to offer our customers 24/7 electrical services, with electricians available to assist with routine services and emergency call outs to residential, commercial, industrial and rural clients within the Central West region of NSW. We pride ourselves on being prompt and will ensure that we keep in touch to ensure you know when to expect us. Our electricians are highly qualified, friendly, honest, and efficient to ensure that your electrical services experience is a pleasant one. Paramount Electrical Contractors are pleased to live in and service the Central West including Bathurst, Orange, Cowra, Lithgow, Mudgee, Blayney and surrounding areas, and look forward to providing you with the rural, industrial, commercial or domestic electrical services you require. Need An Electrician? Call For Help Today! Discovered faulty wiring? Power gone out unexpectedly? Don’t wait until tomorrow when our 24 hour Bathurst electricians can do it today! We show up wherever you need us and whenever you need us rapid fast, so say goodbye to frantic phone calls and exorbitant call out fees. Residential or commercial, Paramount Electrical Contractors are available 24 hours 7 days to solve your electrical emergency. Don’t get left in the dark, our team are the leaders in emergency electrical work in Bathurst, provide up front and realistic prices and can typically arrive in 40 minutes or less! Experiencing an electrical emergency in Bathurst or surrounds? Contact the leading electricians in Bathurst today or fill out our online form to get a fast and easy quote for your service. "Very reliable and intelligent - did a job for us no one else wanted to touch, sorted all the issues and ensured everything was both safe and working. Highly recommend." "100% recommend these guys. Nothing was a problem. Will definitely use again." "A prompt, professional, precise perfectionist. All fundamental ingredients of a top tradie!" "Honest, fair priced and efficient electrical contractor. Mike was willing to go the extra mile to make our house and farm construction a stress free affair." "Anything electrical this is your man! Mike has done a lot of work for me installing PowerPoints and all different electrical jobs throughout my business 100% happy on time and is always willing to go that extra mile to get the prefect result!" "Paramount have done a full renovation and home extension for us. They are punctual and reliable. Their work is professional and precise. Their knowledge and know how is excellent. I would recommend them without hesitation. Thanks again to Michael and his team."